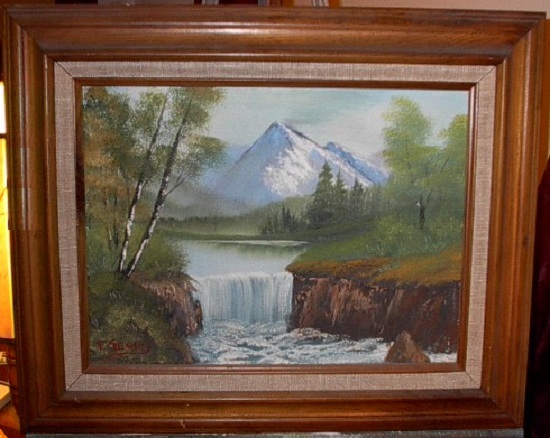 The painting above is called "Waterfall". I painted that acrylic painting back in 1988. Since the 1980s, I've painted various works using oil, acrylics or watercolors. Most of my paintings are landscapes and waterscapes. On rare occasion, I would attempt to paint people. Well known oil painter Bob Ross had a 30-minute television program on PBS. In each episode, he would begin with a blank canvas, apply paint to "wet" the canvas, then paint sky and clouds. Next would come distant mountains, followed by distant trees and hills. Lastly, more detailed close-up objects were painted. Voila, the painting was done and signed. Other acrylic and watercolor artists had similar instructional TV shows. From grade school, I had learned about 3-point perspective and how shadows would appear away from the "light source". Besides painting on canvas board or an actual stretched canvas, I also painted on saws and milkcans. (Click on My Milkcans link for more information on milk cans). A former co-worker, who I kept in touch with for several years, would contact me to paint a picture of someone's house. He would supply me with a few photos, and then specify what he wanted to be included in the painting. One requested painting was the monument located in front of the local VFW post in Columbia,Pa. 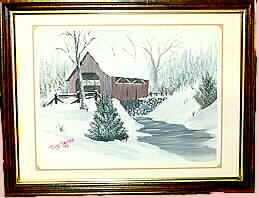 I gave away most of my paintings when I attended a family reunion in the 1990s in Lancaster,Pa. Some paintings were photographed before the reunion. People at work would request paintings of different items. Also, a friend of my sister lives near Pearcy, Arkansas (close to Hot Springs). She likes farms and horses, so I painted farmscapes for her. She also had a liking for covered bridges. 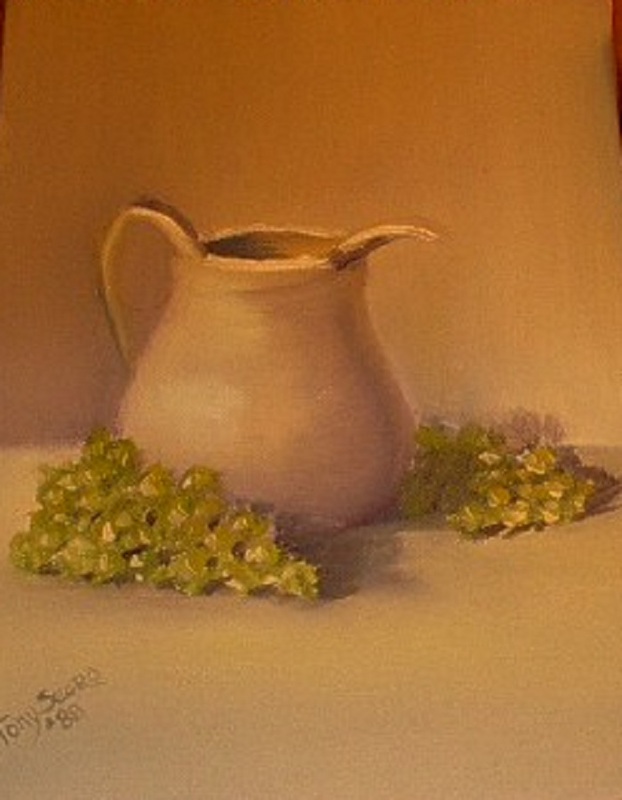 As with my other art pages, I hope you enjoy the photos of some of my paintings.